Hi, I’m Becca and this blog is my diary of my journey from couch potato to marathon runner to strongwoman. I have always been slightly overweight and have been a size 16/18 for most of my adult life. 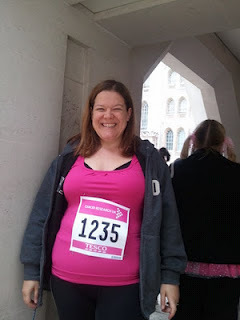 In 2011 I decided to change this and with the help of Thinking Slimmer I discovered an effortless way to lose weight and a passion for running. 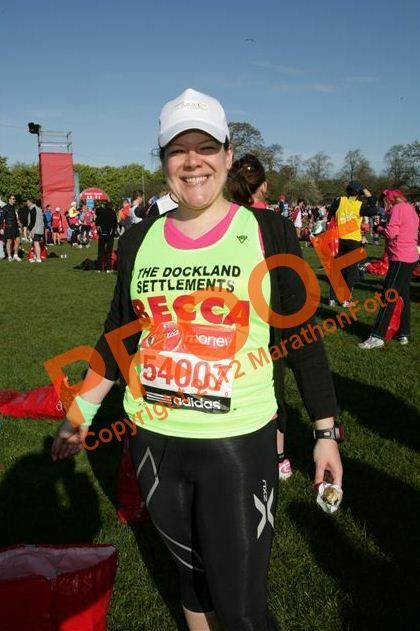 I started running in April 2011 and completed the London Marathon in April 2012. In that time I dropped two dress sizes and became much fitter. 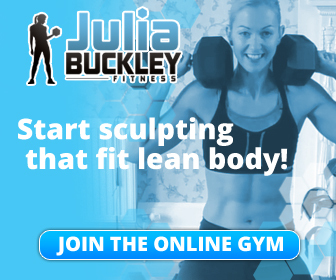 In 2013 I discovered weight training and high intensity interval training with Julia Buckleys Fat Burn Revolution programme. It’s transformed my body and really helped me improve my running. I took on the London Marathon for the second time in 2014 and despite running with an injury took 40 minutes off my personal best time. In 2014 I met Sally Moss at her Ladies who Lift course. I learned how to deadlift, squat and bench press and my love affair with the barbell began. Later that year Sally taught me how to Olympic Lift – how to throw weight above my head with confidence. I loved it and the way it made me feel. Then in 2015 my PT Jess Wolny introduced me to Strongwoman, I loved it more than any other strength training I’d previously come across. At New Year 2016 I made a decision – In to train for my first novice Strongwoman competition. I loved it and came third surpassing all my expectations. And so I decided to enter another competition. I loved it even more and this time I won. For the rest of 2016 I’m focusing on losing weight – I’m aiming to be able to compete as an under 75kg strongwoman next year. I’ve a way to go but am determined to get there. I hope you’ll join me as I go ‘from strength to strength’. Thank you Sian – I am honoured! I’ll put my thinking cap on for my ‘acceptance’ post! Thank you so much Anna – I really appreciate the award. Diaryofadashinista already gave me this award this year but I will wear this second badge with a lot of pride! 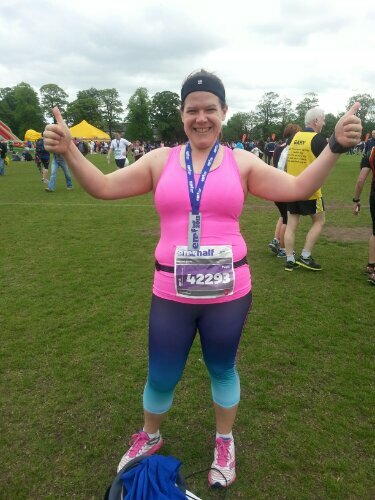 So glad you enjoy my blog – I’m loving my new life as a runner! Hey Becca, I love your banner picture! I didn’t know today when I met you that you had run the London Marathon this year! I watched it in three places back in May so chances are I probably saw you. I am just getting into running to but have had a few hip issues. But I am running my first 10k (in a santa suit) in December so very excited to finally do a race! Thank you Laura! Yes I went from total beginner runner to completing the London Marathon in a year. Discovered a love of running that’s still with me and have run in quite a few races since then – I have the Great South Run coming up in less than two weeks time. Running can be tough on the joints and hips in particular – have you got a physio to check you out? Good luck with your 10K – races are so much fun, great atmosphere and brilliant to run with lots of other people. Oh thank you! Venice and Lucca are both beautiful – running a marathon there would be amazing. The marathon is quite a mental thing, almost as much as physical I think. Break it down into chunks and it feels far more manageable. Good luck! Oh thanks, what a lovely comment. Glad you found some inspiration here. Enjoy training for your half marathon. It’s such a fantastic feeling crossing that finishing line – you can do it! 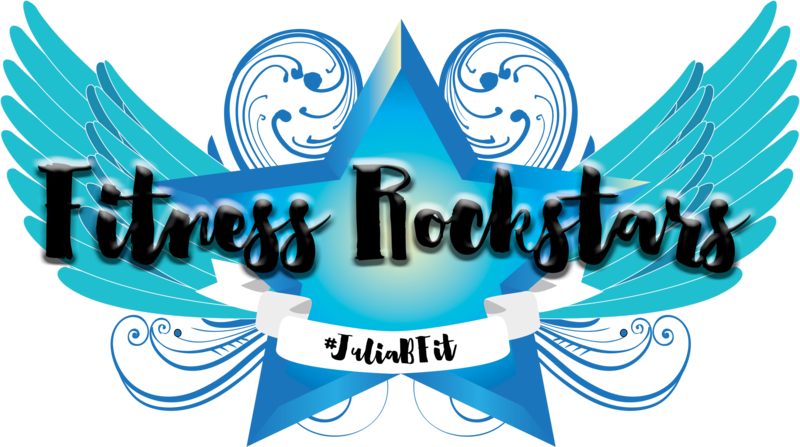 I am writing on behalf of Shock Absorber and we are looking for bloggers to take part in the Women’s Only Triathlon which takes part on 14th July. After looking at your blog, we believe you would be perfect for this opportunity. If you’re interested, please get in touch! Hi there – lovely to meet you on Thursday! Thank you so much. 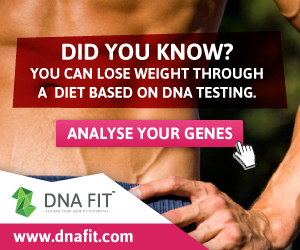 Have you tried running at all. The first few times are the hardest and then it gets better – I promise!